Taking your pug to a groomer on a regular basis isn’t always practical or cost effective. Most of us will choose to do the grooming for pugs ourselves. But it isn’t always as easy as it sounds so having grooming tools for pugs is an absolute must. I am talking about 10 essential tools for grooming pugs that every pug owner will want in their arsenal at home. The deshedding tool is probably the single most important of the grooming tools for pugs. The deshedding tool is designed to strip the undercoat of your pug which will in turn reduce the amount of hair your pug sheds. They are essentially a brush with hard, longish, sharp bristles and/or teeth that will get under your pug’s coat and pull out those loose hairs. The most popular brand of deshedding tool is the Furminator but there are other deshedding tools on the market that you might like to try or prefer over the Furminator. The deshedding tool can be quite harsh on your pugs skin because of the sharp bristles/teeth. For this reason, you should limit the use of the deshedding tool to between once a week and once a month. You may find that using the tool just once a month for a lengthy period of 20-30 minutes is sufficient to get rid of those pesky loose hairs. But for pugs who don’t like sitting for that long to be groomed, 5-10 minute once a week may just be the right amount for you. Or perhaps you prefer to have a deshedding tool that is easy on the skin, can be used daily and works just as well as the Furminator. Then check out the Foolee Easee Brush review. Whilst the deshedding tool is amazing for helping with the undercoat of your pug, a soft brush is what you should be using for daily brushes. Brushing your pug every day will help to get rid of any loose hair but it is also amazing for their coats. With daily brushing, you will help get rid of dead hair that will allow your pug’s skin to breathe better. You will also be massaging the skin which helps promote the healthy oils to come through that gives a nice shiny coat. When choosing an every day brush, one with soft bristles is the best. Our top pick for a soft brush is the Zoom Groom by Kong. The brush is made entirely of rubber meaning it is gentle on your pugs skin but successfully removes hair at the same time. The bristles are thicker than a regular brush which makes it so much easier to remove the hair from it. It is also easy to clean and can be used to help loosen hair during bath time. Nail clipping can be hands down the most painful experience when owing a pug so having all of the right tools will help. It is essential that any dogs nails are kept really short. Long nails change the way your pug walks and will put more strain on their joints. At no point in their life should you be able to hear them walking on tiles or wooden floors. 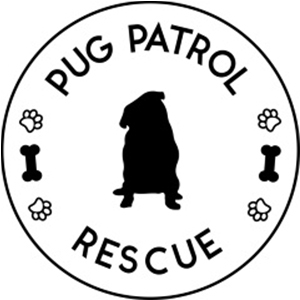 Some pugs may not need their nails trimmed as walking regularly on concrete can help keep them filed back, most pugs need their nails trimmed regularly. Nail clippers are probably the most common tool used for trimming nails. However, there are so many different clippers on the market that just don’t do the job. You want clippers that will give a clean sharp cut to your pugs nails. I have yet to own a pair of nail clippers that sufficiently do the job. However, I have heard amazing things about the Millers Forge brand of clippers that are extremely difficult to purchase in Australia. Nail scissors are another option for trimming nails. These are particularly good with small dogs and I personally find them easier to use than clippers. Nail scissors have become my go to for trimming Serina’s nails as I can get a clean sharp cut with them, they open wide enough since she has thick nails and they are easy to hold. As many pugs hate having their nails clipped, filing them can be much more easier and comfortable for them. There are many cheap battery operated nail files on the market but nothing compares in quality, durability and ease of use like the Micro Dremel. Whilst the Dremel is a power tool, the Micro Dremel is small & portable as it isn’t a corded power tool plus it is sturdy and made to last. You can choose to use the sandpaper heads or the diamond head to file back your pugs nails. It can be quicker and less frightening then clipping making the experience better for everyone. When a pug’s ear is not kept clean, there can be a build of wax that allows debris to get caught in the ear. This can quite often lead to unnecessary ear infections. Cleaning your pug’s ears once a week will help to prevent a build up of wax and debris in the ear. 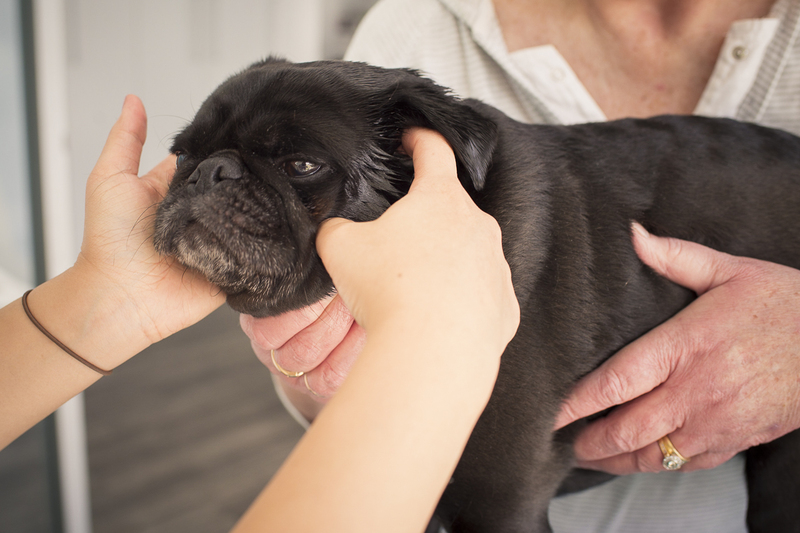 Having a natural option for cleaning your pug’s ears will not only help to keep their ears healthy, it will give you peace of mind knowing that you are not using any nasty chemicals directly into their ear which could cause further issues. There are a number of ear cleaners on the market but very few that don’t contain nasty and harsh chemicals. Natural Animal Solutions Ear Clear is very popular in the natural approach to animal care world. 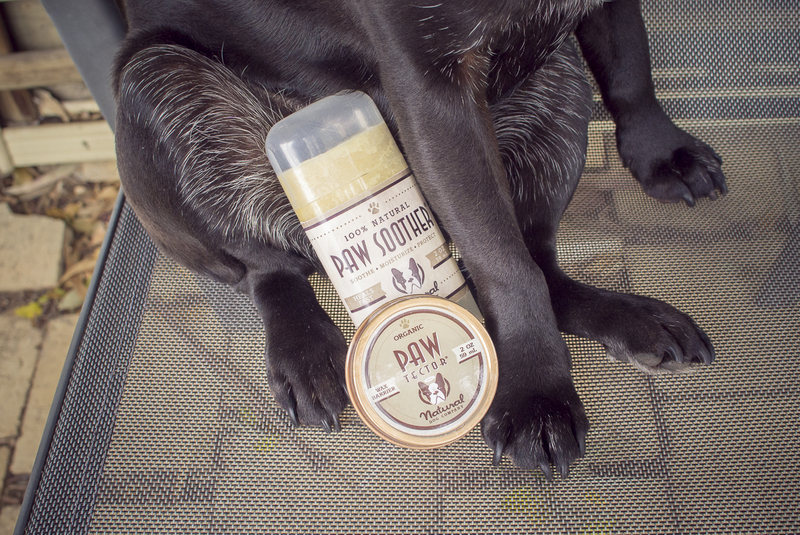 It contains a total of 5 all natural ingredients that are perfectly combined to gently clean your pug’s ears. It is free from detergents, sticky oils and other irritating chemicals. It comes in a liquid form with an easy to use dropper for administering into your pug’s ears making it hassle free. It is so gentle on their ears that it can used up to twice a day to clean ears and then maintain ear health with use once a week. It will clean your pug’s ears without irritation and perfect for cleaning their ears after a swim too. Paw by Blackmores Gentle Ear Cleaner has been in our one of our grooming tools for years now. It is another great product with gentle natural ingredients in it that will be of great help in maintaining healthy ears for your pug. It is a product that is designed for use just once a week and comes in a bottle with a convenient applicator top that allows you to carefully and easily clean your pug’s ears. With a little going a long way, this ear cleaner will last you a long time making it great value. It is not uncommon for your pug to get a dry nose and paws. 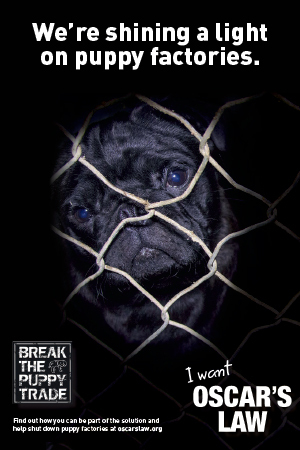 If left untreated, this can lead to cracking which is very painful for your pug. Keeping both their paw pads and their nose nice and moist will not only prevent dryness but more importantly, it will prevent them from cracking which can lead to infection and all sorts of troubles for your pug. Not all moisturising products are created equally and can contain some very harmful products especially if they are designed for humans. This is where the Natural Dog Company comes is with their all natural dog grooming products. 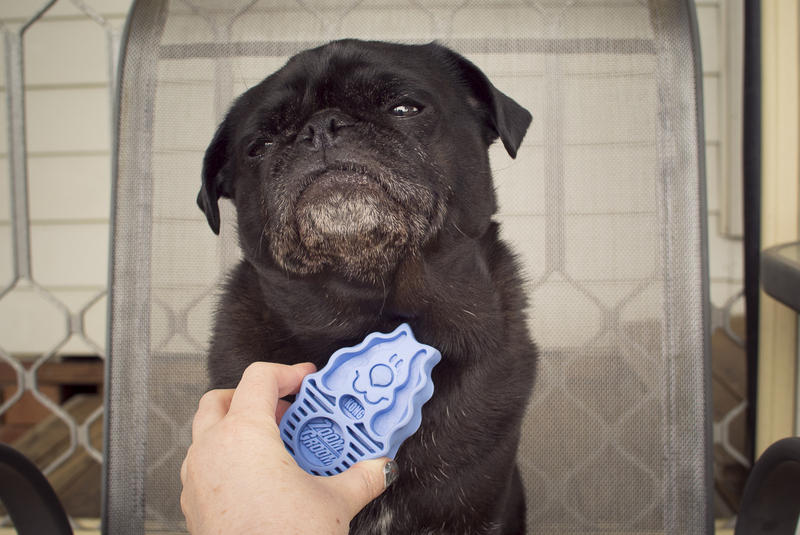 The Snout Soother is designed to put moisture back into your pug’s nose naturally. It contains a combination of natural oils that are not only great for adding moisture to your pug’s dry nose, but contain antioxidant and anti-inflammatory properties that will also help to heal those noses that are more than just dry. The Snout Soother is proven to help dry, chapped, crusty and cracked noses. It can help with hyperkeratosis, dry eye and discoid lupus. And for those that just need some windburn, sun protection and other extreme weather protection for their little nose. It is perfect for daily use for noses in need or just weekly for perfect maintenance. The Paw Soother is another amazing product that is designed to put moisture back into your pug’s paws. With your pug walking on a range of difference surfaces, it is easy for their paws to get dry and even cracked. Paw Soother will help keep those little tootsies moist and healthy for adventures all year round. You can apply weekly, daily or as needed to keep those paws free from dry, chapped, peeling, rough & cracked paws. You can even help with hyperkeratosis of the paw and provide relief from allergy symptoms shown in the paws. And for those wanting to provide protection of the paws in harsh elements, you’ll love their Paw Protector too. 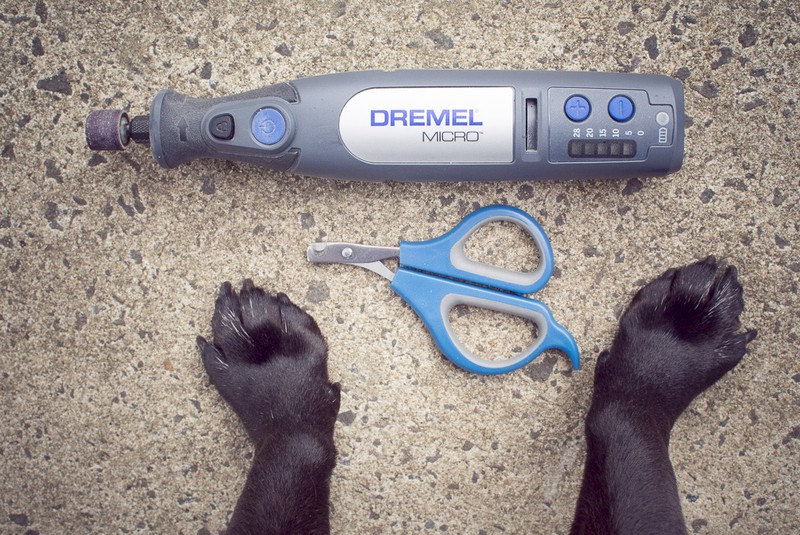 Do you have any of these tools for grooming pugs in your arsenal? What is your favourite? Tell us below. 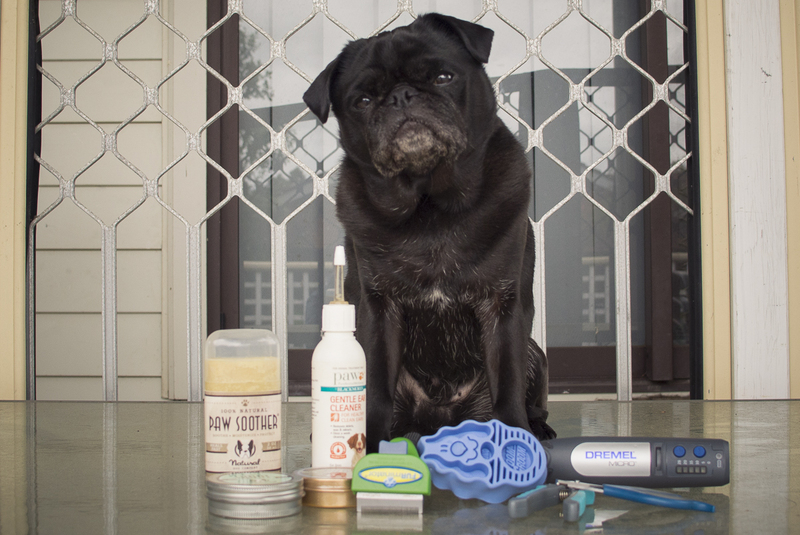 Stay tuned for 10 essential tools grooming for pugs part 2! 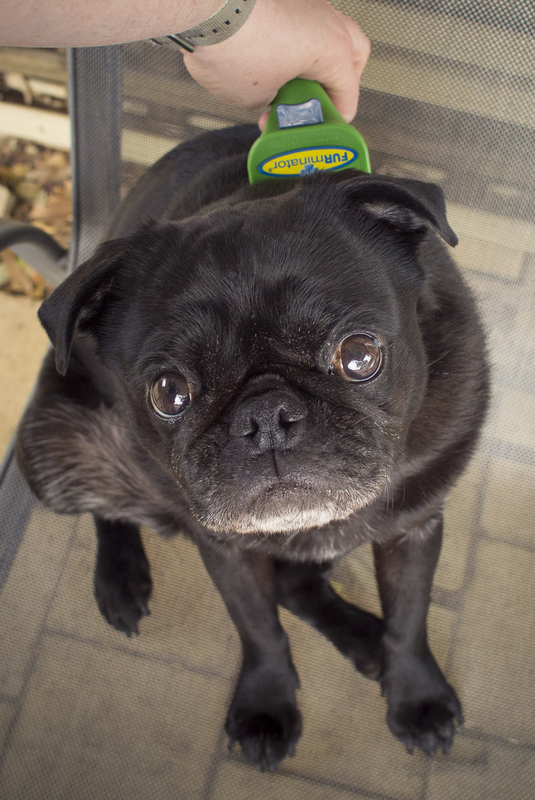 ← Fasting Pugs: Can it be Done?